Standard Chartered is a leading international banking group, with more than 80,000 employees and a 150-year history in some of the world’s most dynamic markets. We bank the people and companies driving investment, trade and creation of wealth across Asia, Africa and the Middle East. Standard Chartered’s heritage and values are expressed in its brand promise, Here for good. In the UAE, we opened our first branch in 1958 in Sharjah. 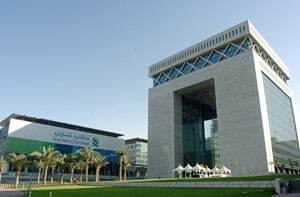 The Group’s business gradually increased in the UAE with the opening of several branches and today, Dubai is the Bank’s regional hub for the Africa and Middle East region and is the centre for its Islamic Banking arm, Standard Chartered Saadiq. We offer an extensive range of Islamic and conventional banking products and services for retail, private, commercial and corporate. Our main objective is to offer outstanding value to our clients by providing a knowledgeable, efficient and reliable service in a personal, helpful and responsive manner. Central to this philosophy is the professional consultative approach we take with each customer. By getting to know you better, we can identify your needs and match them with quality products that suit you best. To put it simply, Standard Chartered is committed to helping you manage your money in the best possible way.